18K Diamond Eternity Band - Diamond eternity ring with 1.0ct total weight diamonds in size 6.0. 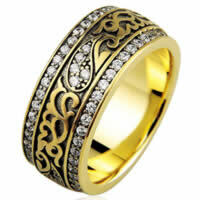 The ring is made in 18K yellow gold and has seventeenth century design. Diamonds are graded as VS in clarity G-H in color. 14K Diamond Eternity Ring - Diamond eternity ring with 1.0ct total weight diamonds in size 6.0. 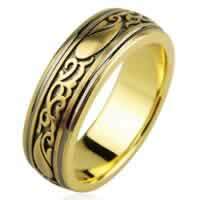 The ring has seventeenth century design. Diamonds are graded as VS in clarity G-H in color.